Second-ever ocean race treks from San Francisco to San Diego. STATEWIDE – The second edition of California Offshore Race Week hits the water May 27, with sailors and racers competing against each other down the state’s coast through June 3. Five yacht clubs from across California will be at the starting line. First gun will be May 27 at Encinal Yacht Club in San Francisco. Racers have an opportunity to take a break at select stops (Monterey and Santa Barbara). Participating yacht clubs are Encinal YC, San Francisco Yacht Club, Monterey Peninsula Yacht Club, Santa Barbara Yacht Club and San Diego Yacht Club. 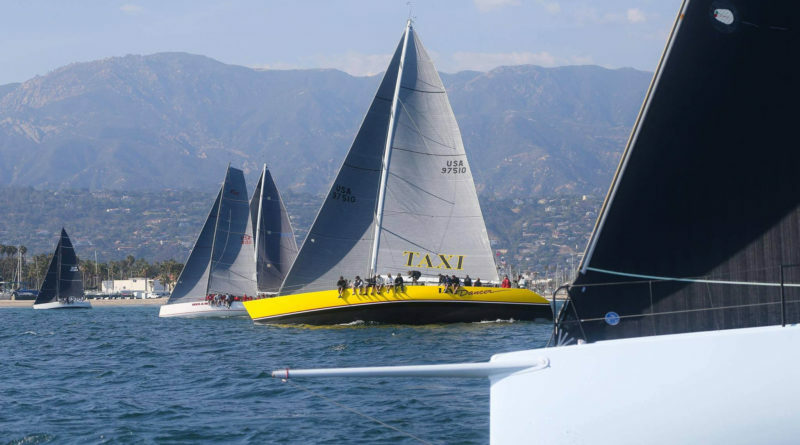 This year’s race, according to organizers, features the Spinnaker Cup (May 27-28), the Coastal Cup (May 29-30) and the third running of the SoCal 300 (June 1-3). Competitors have the option to race all week or only participate in specific legs (Spinnaker Cup, Coastal Cup and SoCal 300). Monterey YC and San Francisco YC will host the Spinnaker Cup, while Encinal YC and Santa Barbara YC host the Coastal Cup. A half-day in-port race will be held at Santa Barbara YC on May 31. Santa Barbara YC and San Diego YC host the final leg – SoCal 300 – of Offshore Race Week. One of the competitors in the 2017 California Offshore Race Week is Simon Phillips. He’ll be racing Astra, a Farr 40, on behalf of Santa Cruz YC. Phillips, a Coastal Cup racer in 2015, also competed in the inaugural California Offshore Race Week last year. Among the race’s newcomers is Mark Surber, who will be representing Coronado YC aboard his J/125 Derivative. This race marks his first time participating in a SoCal 300. Race entry fees jump up after May 19. Sailors still contemplating an entry should visit offshoreraceweek.com.